Learn Hebrew. Learn Greeke. Learn Latine. Learn Chaldean. Learn the Rabbinicall. Here's a really interesting cartoon. It depicts Solomon Schechter grinding up Lower East Side immigrant boys (with the help of Jacob Schiff, who is providing the "gold oil" to lubricate the grinder, which itself is marked "Jewish Theological Seminary") and churning out Reform rabbis, one of whom holds a Bible and another a ham sandwich! "The Jewish Theological Seminary, established to provide the East Side with Orthodox rabbonim, manufacturing Reform rabbis for the West and South." I can't find a lot of information about Der Groyser Kibitzer, but it appears to have been just what it sounds like: a Yiddish parody sheet. I copied this image from David Weinberg's article on the JTS and "Downtown Jews" in Tradition Renewed. 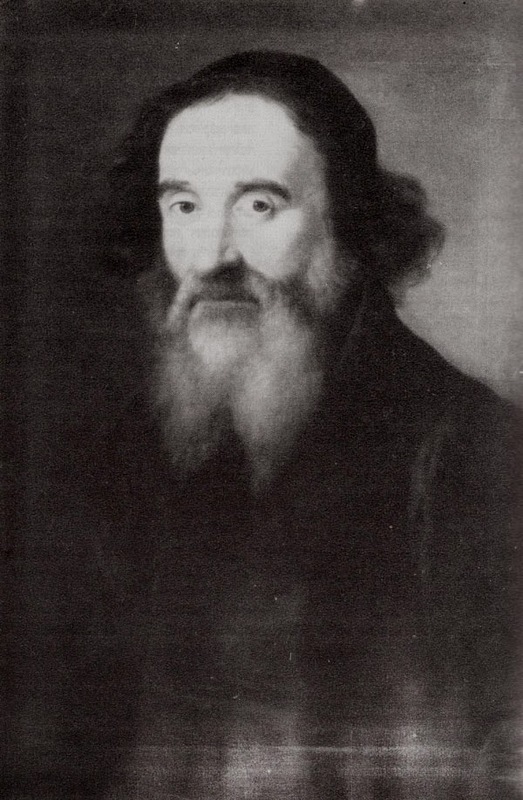 This portrait of R. Moses Sofer (1762-1839), the Chasam Sofer, was made in 5571 - 1811. I have only one thing to say: that can't all be peyos. 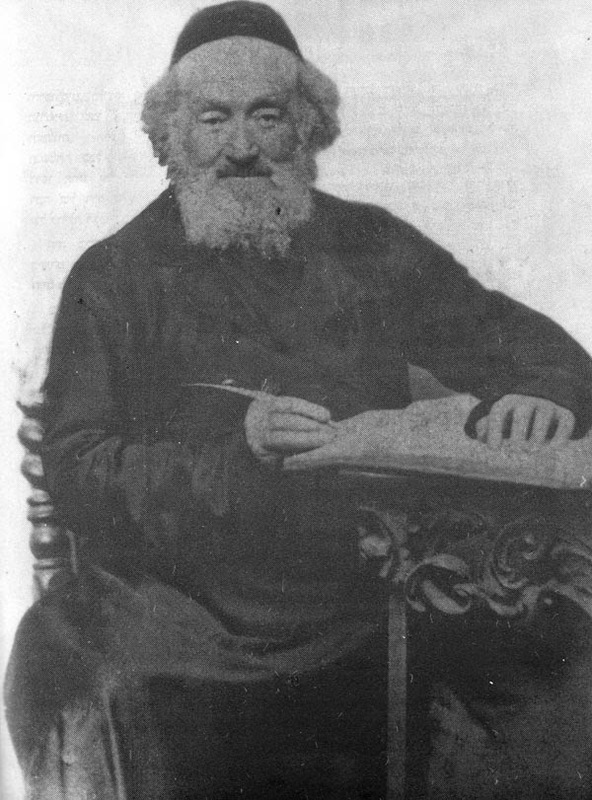 The following is R. Samuel Strashun (1794-1872), more commonly known as Rashash. 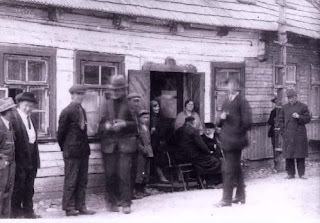 Most well known because of the inclusion of his Talmudic notes in the Romm Press's Vilna Shas. 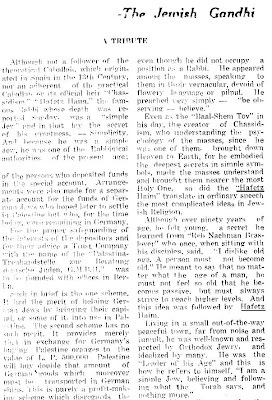 To see how his slightly left-of-center orientation (or left-of-right, as the case may be) means that he is a slightly controversial figure in some circles today see here, including an oft-repeated rumor about why his notes are in that Talmud edition (and therefore almost all editions since) Also here. 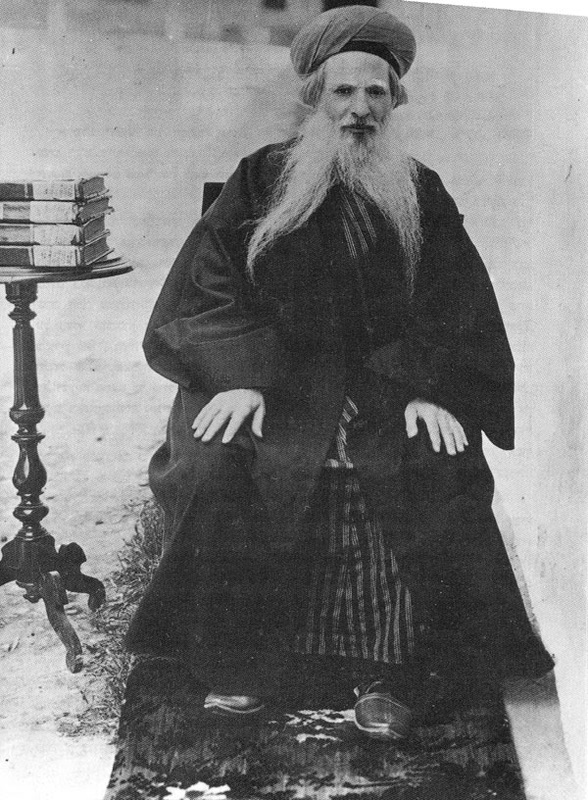 Finally, for tonight, here is a beautiful portrait of R. Chaim Chizkiyahu Medini (1833-1904), author of Sdei Chemed. Just note his truly awesome Ottoman shoes! Coming soon: what color was Rashi's shirt? Tel Aviv University is now hosting a digital newspaper project (link), and there's a very promising beginning. Although some of the newspapers are in French, which means that for me personally it's not very useful, also included are 19th century Hebrew newspaper's Ha-Maggid and Ha-Levanon, which were already digitized by the JNUL. However, TAU's interface and search are actually far more useful. 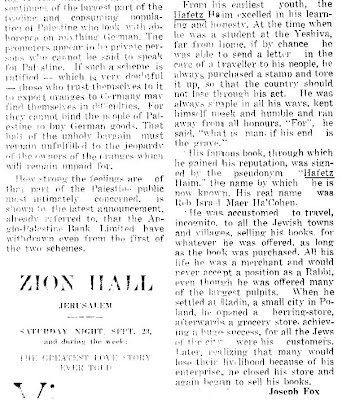 In addition, they've also got the English language Palestine Post (forerunner of the Jerusalem Post). Not bad! Finally, here's an interesting image from the funeral itself - note from the newspaper! (click to enlarge for detail). 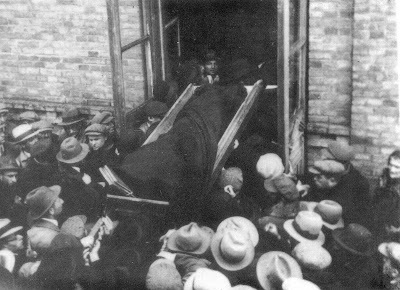 Note the seforim in his casket. Also, my eyes must be deceiving me, but it seems that there is a women in the crowd. How could that be?). The average person probably doesn't realize that in Semitic languages there are consonants which are not found in Western languages until it is pointed out to them (although they may have some sense that Middle Easterners seem to be clearing their throat a lot when they talk). Of the two letters already mentioned, one (the ה) is more or less pronounced just the same as the H is in English, while the other (ח) is nowhere to be found. But it's close to the same sound. That's why in English transliteration words containing these two consonants usually just write them with an H: 'Hanukkah', '[Shalom] Haver,' 'Hizbullah' and so forth, although they all begin with a ח rather than a ה. Why do I mention this? Because I say that the average person probably doesn't know it, but not everyone is average and some people know this well. But that doesn't stop some of them from making mistakes. It seems that BBC reporters in the Middle East forgot that there is an H sound in Hebrew as well as a ח (leaving aside the question of how the ח is actually pronounced in MIH (=Modern Israeli Hebrew). It must be five or six times already that I have heard a BBC correspondent in Israel refer to the Israeli Prime Minister as Echud (אחוד) Olmert. Some of these reporters can do a pretty good Middle Eastern ח, and they spit out "אחוד" in a way that would sound clear and authentic from Baghdad to Beirut. Others can't do it and pronounce it the way Ashkenazim and Israelis would: ח, and they spit out "אכוד". But both, of course, are wrong. It's Ehud (אהוד) with the actual H. No need to get fancy (and wrong). Of course, I've also heard it pronounced correctly! Now, I'm sure that if someone requested a curriculum from BMG this is what they could receive (of course it might have been modified since 1981). After all, BMG is a university, students have to register for courses (I would think) and it can grant degrees. I remember having to register for "classes" when I was in (other) yeshiva(s). We'd have to write down what Bible books we would study, what Jewish philosophy, ethics, and so forth. All these forms would be neatly filed away, against the outside chance that anyone ever wanted to check them over to make sure that the yeshiva was offering a full theological university curriculum. As I recall, someone from the yeshiva office would even tell us with a wink that we're actually responsible to learn these things - or else it wouldn't be honest, and it was on us to ensure that we completed our courses. Then we'd go back to the Beis Midrash, resume seder and attend shiur on Tuesdays. I think I wrote that I'd take a course in Chronicles one time. Perhaps Radaq was involved, but I can't recall. Anyway, someone should have advised Lewitter to do some real research and go to the yeshiva, rather than the mail order kind. I think I wrote the Delaware Chamber of Commerce when I was doing a report on that state in the 3rd grade, but past that point it's appropriate to go to Delaware itself when writing about it. 1 Of course no one is compelling BMG to be a degree-granting university. Over the words of the teacher I hear the rustling of newspapers. I am in my senior year in Yeshiva College. 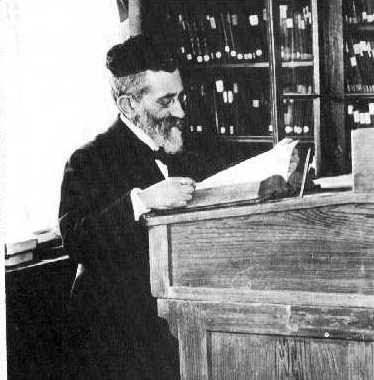 The school authorities have decreed that students of Talmud ought also to be studying Bible. And so each Thursday one hour has been taken from Talmud study and given over to the Bible. For reasons known only to the faculty, the text that has been selected is the Song of Songs. Most of my classmates are angry at this theft of precious time from Talmud. They manifest their anger by openly reading newspapers in class as the teacher-a mild, mustached Bible scholar in a rumpled gray suit, steel-rimmed spectacles, and a wide-brimmed gray fedoraattempts to cut a path through the text. The noisy pages of the Post, PM, the Times, the Herald Tribune display an open disdain of the harried efforts of the teacher of Song of Songs. He is teaching the text in the traditional manner: it is a love song between God and His people Israel, written by King Solomon in his lusty youth. How hard he tries to arouse our interest in its bizarre similes! It is all in vain; the air of the classroom is dense with stoney resentment. Clearing his throat, he gazes down at his text. In a suddenly lowered voice, he reads the words, "Your breasts are like two fawns, / Twins of a gazelle, / Browsing among the lilies," and explains them by saying, "This refers to Moses and Aaron." Behind me a newspaper rustles. All around me there is a low buzz of conversation. The classmate to my right yawns audibly and without embarrassment. Eight months later, I am sitting in a Bible class in the Rabbinical School of the Jewish Theological Seminary of America. We are studying Song of Songs. 1 "Text and Texture: Early Adventures in the Fourth Dimension"
. . . but neither was William Chomsky. William Chomsky was a Hebrew scholar who wrote one of - if not the best - popular histories of the Hebrew language in English ( Hebrew: The Eternal Language Philadelphia : Jewish Publication Society of America, 1957). 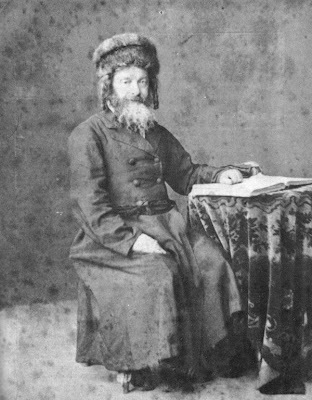 In addition, he authored scholarly articles and translated, annotated and reorganized the important medieval Hebrew grammar and dictionary, the Mikhlol of Radak (unfortunately without including the Hebrew text). It is probably impossible to not mention that his son is MIT linguist Noam Chomsky, so I did not do the impossible. Getting back to "Hebrew: The Eternal Language." The book is full of most interesting information presented in a very clear and engaging format. It contains a wealth of technical information which doesn't seem technical. It is suffused with a very Jewish spirit and a love for the Hebrew language and literature. t's a very good book. Yet, it is not without factual error and the favoring of pet theories. For example, Chomsky adopts Solomon Zeitlin's war against the Dead Sea Scrolls view that the Dead Sea Scrolls are medieval and Karaitic (p. 298 n. 2) - although he does present the prevailing scholarly view regarding their antiquity, if not the identity of their authors (which can now be considered fact) and gives his reasoning for rejecting that view.
" . . . the Yiddish or neo-Hebraic current script . . . [along with the Rashi script] . . . of course, evolved from the square script, in different localities and periods. . . . Although the cursive script is clearly traceable to the square script as its origin, it also possesses traces of the old Hebrew script. This is particularly evident in the case of the Aleph letter, which in the Yiddish cursive form is closer to the old Hebrew than is the same letter in the square script." One wonders, what could Chomsky have meant by this? Now, as trivia - as opposed to useful information - it is true that the letter aleph in the "neo-Hebraic current" script does more closely resemble a Ktav Ivri/ paleo-Hebrew aleph than does a square aleph. In fact, I once wrote out the Ktav Ivri script for a 12 year old who promptly told me that he thought the paleo aleph looked like the cursive aleph he was used to. But what could Chomsky have meant that "it also possesses traces of the old Hebrew script"? Traces? Does he mean this literally? How would that be possible? As I said, I'm no Hebrew paleographer, but actually it seems to me that the aleph of the "current neo-Hebraic," or "Yiddish cursive" is derived from the form of the aleph in the Hebrew cursive form known as Rashi script. This title page from a mid-19th century siddur for travelers to America is interesting in its own right, but take a look at the aleph in the name Ephraim (and the others). In virtually all respects this signature facsimile is written in the current cursive script, but instead of the right side of the aleph being a semi circle, it is more like a "greater than" sign. This well known signature of Wolf Heidenheim appears on the title pages of all the books outputted by his printing firm in Roedelheim. Same form of aleph appears. 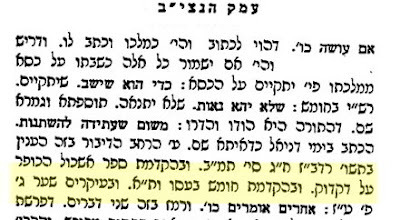 Many, many more examples can be supplied, but here is a sample of 19th century writing (this word happened to have been written by R. Yosef Feimer, rabbi of Slutzk). Virtually all the letters (written by Ashkenazim) reproduced in the excellent series Shenos Dor Vador (by Reuven Dessler, publ. Mesorah/ Artscroll) show that this was by far the common way this letter was written until the 20th century. Note that in every example prior to 1900 in this chart has the two elements making up the letter attached - granting, that in the 19th century there were also those who wrote the aleph as a line with a half circle. But that was a later development in this script. As near as I can tell, originally this particular letter was essentially of the the same appearance as the Rashi aleph. It was written in an easy way, by writing a line and a little <-like stroke. What basically happened later was, the right side rounded and detached from the left bar. Today one usually sees it written that way, but on occasion one sees it the older way as well (although often the < attaches in the center of the bar, instead of closer to the top, as it used to). Now, it is true that the rounded form, the current one, looks kind of like that paleo-Hebrew aleph. But did the original form look like a paleo-Hebrew aleph? I submit that it did not. It looked kind of like a ches, as the Rashi script aleph tends to look. Does the Rashi script aleph "possess traces of the old Hebrew script"? I highly doubt it - how would it? I am sure there are excellent charts showing the development of that letter from a regular, garden variety square aleph.